Financial crises; European Union countries. Amazon.com description: Product Description: Why has the Eurozone ended up with an unemployment rate more than twice that of the United States more than six years after the collapse of Lehman Brothers? Why did the vast majority of low- and middle-income countries suffer a prolonged economic slowdown in the last two decades of the 20th century? What was the role of the International Monetary Fund in these economic failures? Why was Latin America able to achieve substantial poverty reduction in the 21st century after more than two decades without any progress? Failed analyzes these questions, explaining why these important economic developments of recent years have been widely misunderstood and in some cases almost completely ignored. First, in the Eurozone, Mark Weisbrot argues that the European authorities' political agenda, which included shrinking the welfare state, reducing health care, pension, and other social spending, and reducing the bargaining power of labor played a very important role in prolonging the Eurozone's financial crisis and pushing it into years of recession and mass unemployment. This conclusion is based not only on public statements of European officials, but also on thousands of pages of documentation from consultations between the IMF and European governments after 2008. The second central theme of Failed is that there are always practical alternatives to prolonged economic failure. Drawing on the history of other financial crises, recessions, and recoveries, Weisbrot argues that regardless of initial conditions, there have been and remain economically feasible choices for governments of the Eurozone to greatly reduce unemployment-including the hardest hit, crisis-ridden country of Greece. The long-term economic failure of developing countries, its social consequences, as well as the subsequent recovery in the first decade of the 21st century, constitute the third part of the book's narrative, one that has previously gotten too little attention. We see why the International Monetary Fund has lost influence in middle income countries. 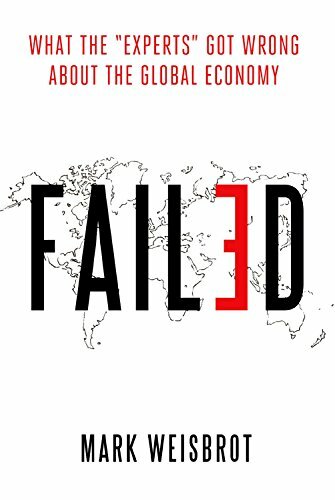 Failed also examines the economic causes and consequences of Latin America's "second independence" and rebound in the twenty-first century, as well as the challenges that lie ahead. About: Why has the Eurozone ended up with an unemployment rate more than twice that of the United States more than six years after the collapse of Lehman Brothers?